Zadejte termín pobytu a vyberte si z 58 hotelů a dalších ubytování. 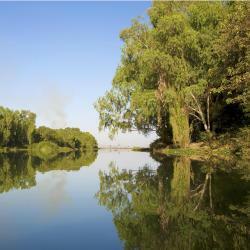 Offering an outdoor pool and a restaurant, Radisson Blu Hotel Bamako is located in Bamako. Free WiFi access is available. The Food was Excellent, I tried most of the platters, highly recommended! Offering free WiFi and an outdoor swimming pool, le relais de bamako offers accommodation in Bamako, 5 km from National Museum of Bamako and 100 metres from China Embassy. Located in Bamako, 6 km from National Museum of Bamako, Hotel La Chaumiere features an outdoor swimming pool. Offering a garden, the property is located within 1.9 km of Kids Attraction Park. 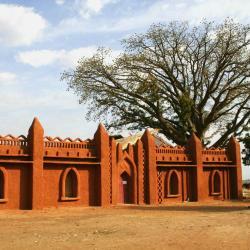 Will definitely use again and would recommend for anyone wishing to travel into Bamako. Staff very helpful and friendly. Restaurant very pleasant and reasonably priced. Breakfast served it's purpose. One suggestion though would be to provide some water in the room fridges so that if you arrive late (after 10:30pm) as I did one evening the staff cannot access the bar area and there is nothing within nearby walking distance. Overall great stay and thank you to George and team. 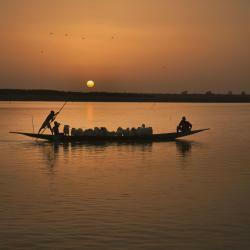 Featuring a casino, Vue de l'Esplanade offers accommodation in Ségou, 200 metres from Office de Tourisme and 200 metres from Pirogues to Cross Niger river (Harbour, Pier). 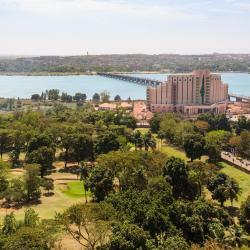 Azalai Grand Hotel se nachází ve městě Bamako a nabízí bezplatné Wi-Fi, celoroční venkovní bazén, terasu, hotelovou restauraci a neplacené soukromé parkoviště. Situated in Bamako, 500 metres from French Embassy, Azalai Hôtel Bamako has a number of amenities, including an outdoor swimming pool and free WiFi. Everything perfect, very courteous staff. Situated 5 km from National Museum of Bamako, Hotel la Coccinelle in Bamako features an outdoor swimming pool.